Man, it's hard to think that Gen Con was a week ago. At this point, the show was more than half-over. How time flies. Hopefully everyone was able to recuperate well. I seem to have missed out on getting Con Crud. So that's good. My feet were feeling just fine again by Tuesday. So that's good, too. And, just yesterday, I finally caught up on the massive back-log of e-mails I'd had. Of course, as I finished that back log, more had come in. But I'm getting to those as well. Anyway, as it's Saturday, I've got your regular bit of reviews that I know you so desperate desire. I'm also looking forward to the coming weeks when I'm sure all the games people picked up at the show get reviewed. This week we have: Barenpark, Whistle Stop, Flamme Rouge, 51st State: Scavengers Expansion, Herbaceous, CVlizations, and Cigar Box Battle Plush Gaming Mats. The "busy day" at Gen Con is in full swing. I'm running around like crazy trying to get photos of things. What you're reading now is past me telling you about current me. But past me knows that current you also wants to read about some game reviews. So let's get to it. 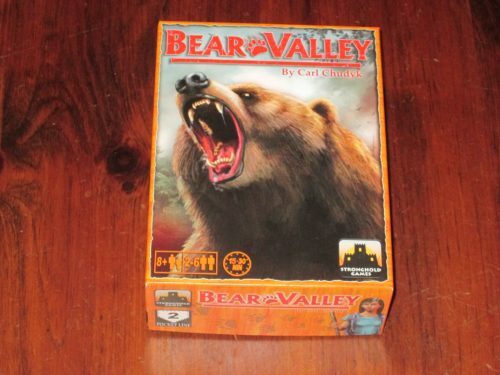 Today we have: Scythe, Medici, Evolution: Climate, Kraftwagen, Bear Valley, Oh My Goods, Here, Kitty, Kitty, The Grizzled, Bureaunauts, Cigar Box Battle Mats, Viticulture, Euphoria, Old School Tactical, Star Bastards, and Ember. 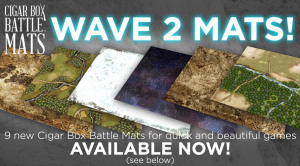 Cigar Box released their 2nd wave of battle mats over in their webshop.